I’d like to share with you something we see in veterinary clinics. Especially in cats. This cat was hiding under the owner’s bed for 3 days before they could manage to get her out and to the veterinarian. 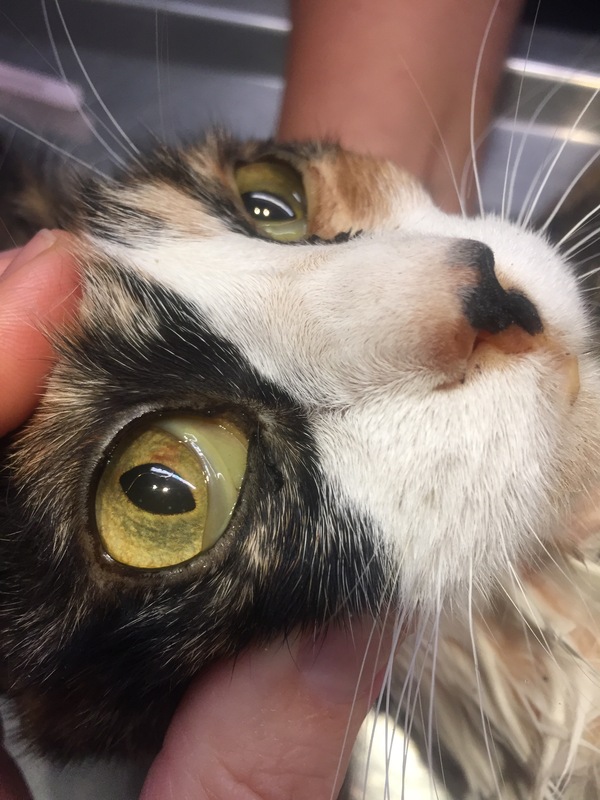 Can you see that 3rd eyelid? Can you appreciate how very yellow it is? Cats should not be yellow. But this one was very yellow, even throughout her entire body. Look at her skin color in her ears. She had urinated in the kennel on the way to the clinic, and it was nearly orange. Here is her mouth, yellow rather than nice and pink. So what is making this kitty yellow? The answer is bilirubin. Bilirubin is an indicator of liver disease or massive destruction of red blood cells. Also known as jaundice, the bilirubin is so elevated that the body can no longer process it. That extra bilirubin gets deposited in the skin instead of normally exiting the body through the liver and gallbladder. 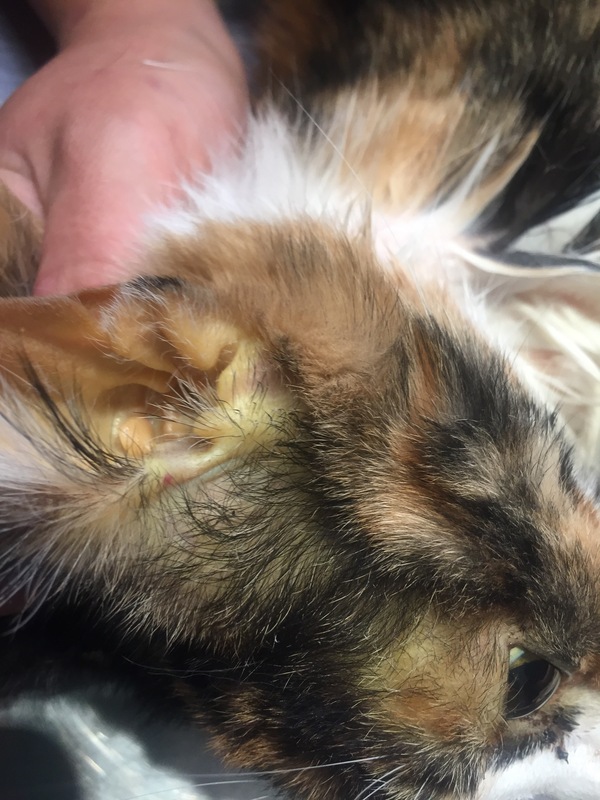 This cat definitely needs some blood work to help narrow down possibilities and offer some treatment options. I’m not going to continue with this case, as it’s a long one. I just wanted you to see jaundice in this cat and know it’s very serious. Cats can get a condition called “Fatty Liver” when they don’t eat for more than 3 days (no matter the reason for not eating). This too will cause jaundice and liver disease. Bottom Line? 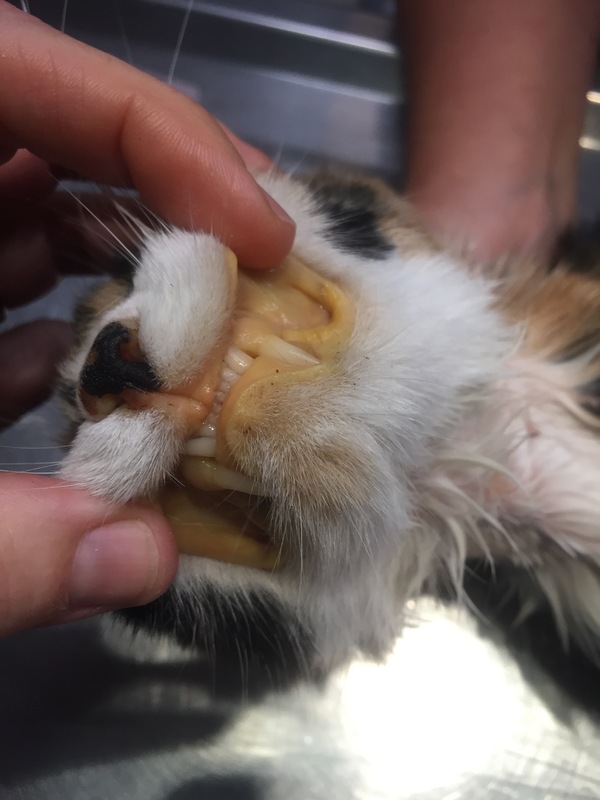 Sick cats need veterinary care. Don’t wait until it’s too late!